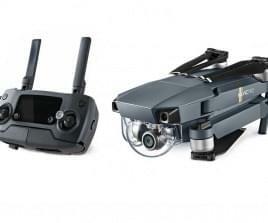 Now you can fly before you buy, you no longer need to pay upfront for your drone purchase. You can purchase now and pay it off later with easy monthly installments. Financing that DJI drone like the, Phantom 4, Phantom 4 Pro, Mavic, Yuneec Typhoon H, Inspire 2 is now available and easy. Whether you have good or bad credit, applying for drone financing is easy and applicants will receive an answer within minutes. Apply for drone financing it is easy! There are no hidden fees or confusing interest calculators. Simply apply for financing on any drone product page. Once you are approved, simply checkout using the BreadFinancing Button, once your order is received and your financed drone is shipped, you can pay off your drone with small, easy payments. Drone financing is great for the enthusiast or commercial drone user. Financing allows you to free up capital and pay as you go. For commercial drone users, drone financing allows them to generate revenue while they pay off their drone, which allows for increased cash flow. Customers are financing their DJI, Phantom 4, Phantom 4 Pro, Mavic and Yuneec Typhoon H or Inspire 2. Drone Financing & Accessories Financing: You can also finance your drone cases, batteries, and accessories! 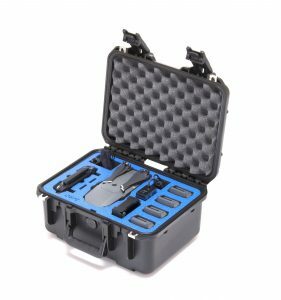 Not only can you finance your drone but you can also finance your drone cases, batteries, and accessories. No matter if you purchased your drone from another dealer or retailer, we can still finance your drone cases, batteries, and accessories. The process is identical to financing a drone but simply add the accessories and gear you want to finance to your cart and checkout with the BreadFinancing option. Verydrone offers two different options for Financing, if you do not qualify for BreadFinancing, go on the checkout page an try GetFinancing. A majority of our customers are applying for financing with a wide range of credit scores. Many applicants, who have bad credit, are applying for financing and are being approved. To apply for drone financing, you simply need your name, birthdate, address, and the last four digits of your Social Security Number along with a contact email address. Credit approval process only takes seconds with a soft credit pull, once approved you can complete your purchase. Click here to find your drone and finance it today!